“Gan-Gan” and her gang! 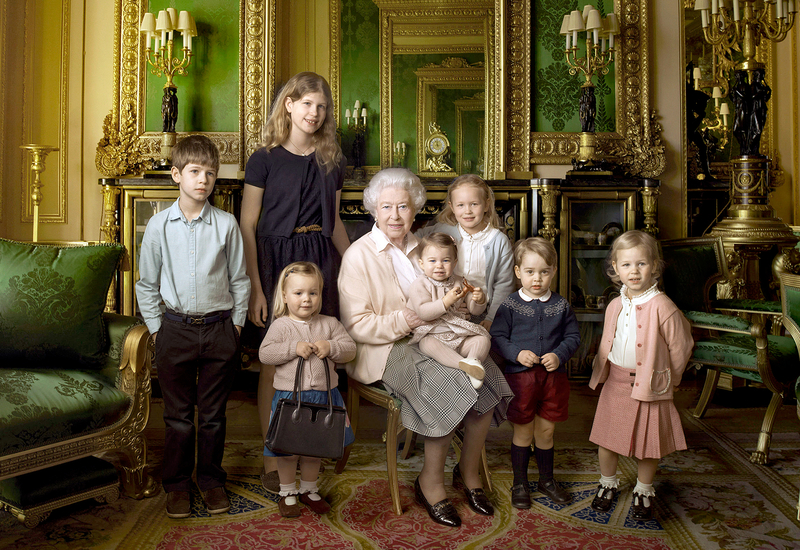 To mark her 90th birthday, Queen Elizabeth II posed with Prince George, Princess Charlotte and her gaggle of grandkids and great-grandkids for a precious portrait taken by famed photographer Annie Leibovitz. In the photo, which was shot at Windsor Castle after the royal family celebrated Easter, the British monarch is surrounded by her seven smallest family members. The children pictured are 2-year-old Mia Tindall (who&apos;s holding the queen&apos;s handbag), daughter of Zara and Mike Tindall; James, Viscount Severn, 8, and Lady Louise, 12, the children of the Earl and Countess of Wessex; Savannah, 5, and Isla Phillips, 4, daughters of the queen&apos;s eldest grandson, Peter Phillips, and his wife, Autumn; Prince George, 2, and, in the queen’s arms, Princess Charlotte, 11 months, the son and daughter of Prince William and Duchess Kate. The portrait is one of three released on Wednesday. Elizabeth — who little George affectionately calls “Gan-Gan” — posed for two other photos to celebrate nine decades of life. 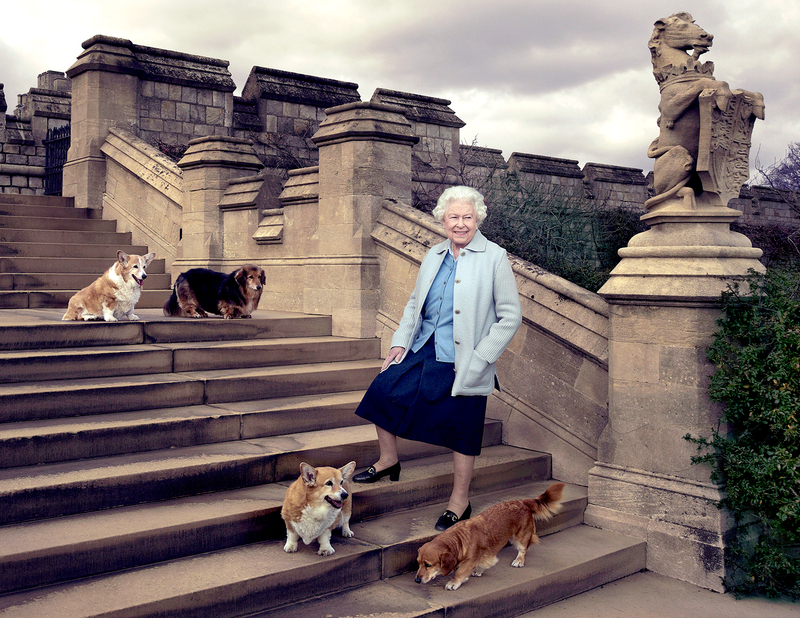 Leibovitz captured the royal dog lover walking the steps of Windsor Castle’s East Terrace with her beloved crew of corgis and corgi mixes: Willow, Vulcan, Candy and Holly. 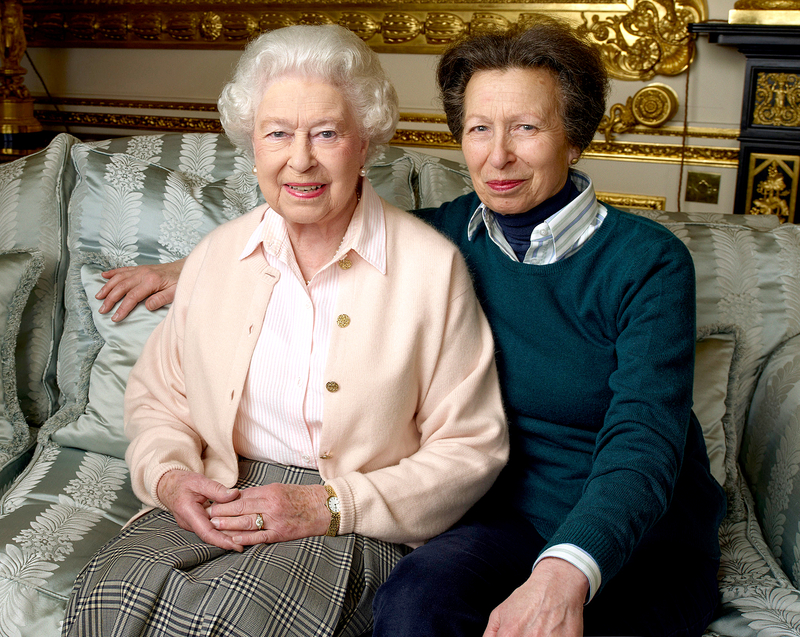 In the other shot, Her Majesty (who officially turns 90 on Thursday, April 21) flashes a beaming smile while sitting beside her daughter, Anne, The Princess Royal. In a recent interview with the BBC, Elizabeth’s grandson Prince William spoke about the legacy the queen has built leading up to her milestone birthday.